Whether you’re taking a dip in the pool, powering through the calm waters or giving your all at a swim meet, we’ve got all the swimwear and women’s beach wear you need to slice through the water in comfort and style. 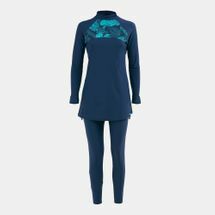 Take your pick from a sleek, contoured thermal rash vest for your surfing sessions, or a versatile one-piece swimsuit for your daily swimming sessions to have fun and stay protected in the water all day long. Browse the latest range of women’s swimwear and shop online with us today. We live in an age where beach wear and swim wear is embarked upon as one of the biggest industries in sports and fashion. 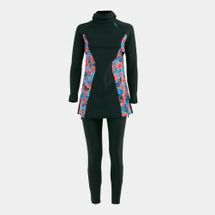 Likewise, we’ve made sure to acknowledge women’s swimwear as an independent category on the Sun & Sand Sports online store so that you can keep in touch with your feminine side. With the introduction of railroads and other transportation, trips to the beach side became all the more prominent during the 1800s. This new pastime sparked swimwear and therefore, the modern-day bikini. Long before the two-piece came into picture, women wore bathing dresses that provided extra coverage. These bathing dresses came with long bloomers and were made with heavy flannel fabric, making it impossible for women to swim steadily. It was around 1910, that the bathing suit started to take shape by flattering the figure with less coverage. The early 1920s further reduced the bathing suit into a singular one-piece garment and soon evolved into various styles that we carry off to the beach today. 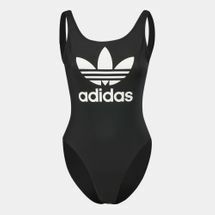 Our ladies’ swimwear online collections at the Sun & Sand Sports online store feature a variety of bathing suits and support systems to make swimwear shopping fun and functional. Whether you’re a professional swimmer or just heading out to the beach, we’ve got the perfect bathing suits for various body types to suit your swimming needs. Kick off your online shopping journey with us today and have your order delivered straight to your door anywhere in Dubai, Abu Dhabi and the rest of UAE. 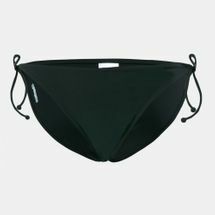 Backed by world-renowned brands in the swimwear category, we’ve brought some of the trendiest, finest bathing suits such as the one piece, two-piece bikinis, trunks, shorts, bandeau tops, bottoms, push-ups, bustier, halter tops and more. 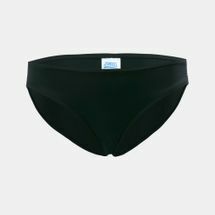 If you are heading for the beach, taking part in the Olympics or just enjoy a quick dip by the pool, then we’ve got just the right swimwear for your body type. 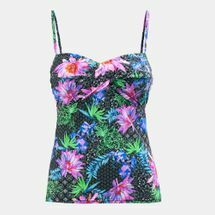 With a click of a button, you can get the season’s trendiest swimsuits delivered right to your doorstep. So, get on your smartphones and start shopping on the Sun & Sand Sports online store. To get updated with the latest in swimwear fashion, sign-up to the official Sun & Sand Sports newsletter today.